You may remember previous years posts about Valentines day, and how we don't really celebrate it in our house, by 'we' I meant of course Aaron - for the last couple of years I've done something small to mark the occasion with the boys but we've not exchanged cards or done anything out of the ordinary. It's a bit of a long running joke - I 'moan' about it but I got over it a long time ago and don't sulk like I did when I was 18. The day before Valentines I was talking to Leo and gave him some advice.... 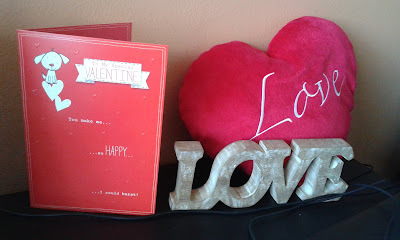 I suggested that when he was older and had a girlfriend he should always get them a Valentines card, if nothing else it would make them very happy and save himself from a lot of grief. Of course Aaron was in earshot and he muttered something about 'forced romance and over priced roses' - or something, I was too busy laughing. 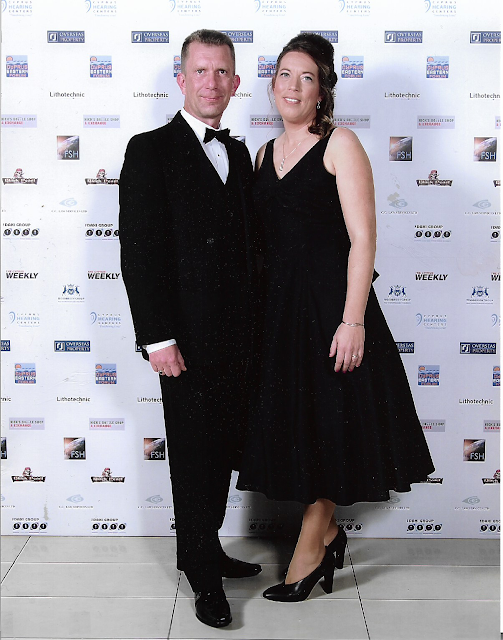 Saturday night was the eagerly awaited 4th Daxi Business Awards, I'd been looking forward to the evening since leaving the last one - and we were almost the very last to leave! The run up to the awards saw lots of planning, and chat - not so much about the nominees although of course that was debated on, but more about what to wear and who was going and how we were all looking forward to a big night out! Sam and I was discussing dress options way back, before we were even thinking about Christmas, having worn the same dress two years running (oh the shame!) of course I HAD to have a new one this year. It's not that easy to find the perfect dress of course, especially here in Cyprus especially if you are on a tight budget but we were both very lucky and found great dresses and they were bargains as well. I've been looking through piles of old photos for inspiration for a Flashback post, and between my Mum and I we have A LOT of them. I love old photos and they provide an almost endless supply of blog inspiration when I get round to it. Scrolling through the photos (yes they are ALL scanned, backed up, dated and organised in folders) saving a few that caught my eye and I decided these were the most appropriate for today. The first photo was taken when I was 17, I was about to leave for the annual Black Tie Ball at the rugby club I played lacrosse at, well, I say 'played' it was more that I used to turn up and stand in a field holding a stick trying not to run anywhere but it was close enough! My friends and I were technically too young to attend the ball but for some daft reason they decided we would be sensible enough to go.